As with any industry, new advancements in technology have the potential to disrupt the retail industry. Already, we’ve seen tech trends adversely affect book retailers, brick-and-mortar stores, and even retail professions. As technology becomes more sophisticated, more changes are sure to come to retail. Some of those changes are already happening due to predictive technology. Predictive analytics is changing retail—but what does that really mean? What are these predictive tools, and why are they impacting the industry? Predictive marketing simply means using data to predict which marketing decisions will be more successful. For example, if nine out of every 10 orders of flat shoes include no-show socks, you could predict with relative confidence that marketing no-show socks to shoppers viewing those types of shoes would help increase your sales. Considering how much data is collected from shoppers, and how many types of trends can be identified by this type of analytics, it becomes easy to see why this would be a powerful tool for the retail industry. How exactly are retailers using this technology today? This article lists three of the most common possibilities. Retailers can use purchasing behavior and past sales data to inform marketing decisions around future promotions. This can help you further segment your marketing, and ensure that you’re only sending the most relevant promotions to your database. This can increase online sales by leveraging predictive marketing alongside personalization. For example, beauty retailers might segment their customers by eye makeup, skin makeup, and lip makeup to ensure their promotions for specific products are only going to those particular segments. Someone who buys lipstick every two or three months would be more likely to buy more lipstick than someone who only buys eyeshadow, even though they’re both purchasing makeup products. Predictive analytics can also be used to keep track of customer behavior and patterns beyond purchasing. What types of behaviors indicate someone is losing interest? How can you tell which customers have the potential to be super customers? This is another arena that predictive marketing can help with. Aggregating customer data to put the right content in front of your customers is just as important as putting content in front of them at the right time. This means making your promotions not only personalized and relevant, but timely as well—which is a key component of marketing. Sure, a segment of your customers might love purchasing crop tops, but December might not be the best time to market them, unless your customer base is in Australia. Summer and music festival season is prime time for those fashions, so plan your promotions accordingly. For many retailers, setting the price for products can seem more like an art than a science. Although e-commerce innovations have helped streamline this in recent years, it can still be difficult to decide price points for new items. Thankfully, having a wide breadth of data and analytics at your fingertips can help you circumvent this. Using analytics from past customers and pricing can inform future decisions, especially because you have vast amounts of data regarding pricing. Predictive analytics can model which prices will be most effective and prevent you from setting them at cost-prohibitive levels. For example, if you’re releasing a new product that is more high end than your usual stock, how will you know the price is right? You want to make a nice profit, but will the higher-than-usual cost turn off your customers? Predictive analytics can help answer some of those questions. In our hyper-connected world, businesses need to find new ways to attract and keep their customers. Between shifting ecosystems, fierce competition, and an overload of digital ads and promotions—predictive marketing is just one possible method of cutting through the noise. By better understanding what your customers want and when you should give it to them, you’ll be able to stay one step ahead of the competition. 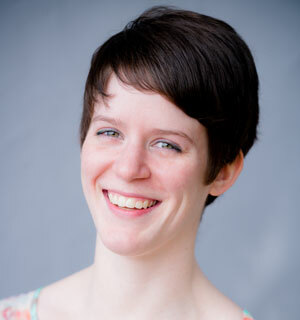 Sarah Hecker is a Marketing Consultant here at SmartBug Media. She has a passion for all things digital which catapulted her into the marketing world post-college. 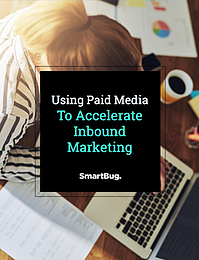 After being introduced to HubSpot during her first full-time job, she fell in love with inbound marketing. Read more articles by Sarah Hecker.